While car accidents can result from manufacturer error like airbags that prematurely deploy, defective brakes, and faulty tires, intoxicated drivers pose a continuous threat to other motorists. When drivers make the decision to drink or use drugs and operate a motor vehicle, he or she is risking injury and death for not only themselves but for others as well. While the state of Georgia imposes severe penalties for DUI convictions, drivers may also face civil lawsuits and criminal charges. The insurance provider for the truck or car will likely begin to investigate the accident right away. The company also has its own team of adjusters and legal counsel whose sole jobs are to limit your recovery to the absolute lowest amount possible. The company may record statements from you and others who were involved, take photographs of the accident, examine the car or truck, request a police report, and attempt to establish your injuries. You will likely need your own legal representation who can perform the same services as the insurance company. Your attorney will be able to recreate the drunk driving accident, recover a copy of the police report, and speak to your healthcare provider regarding your injuries and your long-term prognosis. Additionally, your lawyer may also be able to arrange for expert medical witnesses who can testify on your behalf and help to prove your case. 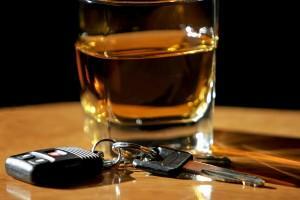 The attorneys of Van Sant Law, can help victims of drunk driving accidents to recover damages for their injuries. Some of the most common conditions caused by drunk driver wrecks include whiplash, deep bruising, brain injuries, bone fractures, lacerations, injuries to the spinal cord, and wrongful death. A drunk driver accident attorney may help victims to seek compensation for medical costs, suffering and pain, lost wages, rehabilitation therapy, hospitalizations, and more. However, although the offender may be required to compensate victims for these damages, they may also be responsible for punitive costs as well. These damages are paid as a punishment to the offenders, to deter them and make them an example to others to ensure that they will avoid making the mistake again. While there is a limit in Georgia of how much punitive damages may be awarded in other types of personal injury cases, there is no cap on punitive damages that a victim may receive if he or she has been injured due to an intoxicated driver. If you are grieving the loss of a beloved family member who died due to a drunk driving crash, consider seeking legal counsel to learn more about filing a wrongful death lawsuit. You might be entitled to seek compensation for additional damages to cover your loved one’s burial or funeral expenses. However, you only have a specific period of time to pursue your claim, so it is important to contact an experienced attorney as soon as you feel that you have a case. If you have been injured in an accident and you believe that a drunk driver was to blame, contact Van Sant Law, today at (404) 991-5950 to learn more about your options. Our attorneys understand the devastation that can ensue following drunk driving accidents, particularly since these incidents are completely preventable. Van Sant Law, can answer any questions you may have and aggressively fight to ensure you recover the damages that you deserve. Call us today.